Stuff, Things, etc. 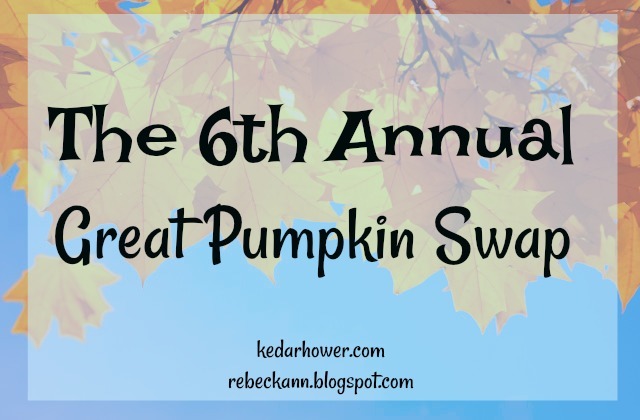 : Pumpkin Swap Link-Up! Today is the day to link-up the goodies you shared with your Pumpkin Swap partner! Because my partner and I are international, I haven't received my box yet, and she hasn't gotten hers. Fun fact: we were also partners back in 2013. Regardless, I'll come back and edit this post as soon as I get it! Please link-up your blog post, link to your Instagram, link to a tweet, etc. You can also share on social media with the hashtag #GreatPumpkinSwap! Thanks to everyone for joining in, and thanks to Becky for co-hosting with me!